some of the toughest athletes in the world back our cause... you can too! I support Pin Cancer because my grandmother had breast cancer and beat it. She was the woman who funded a lot of my wrestling expenses through out the years and helped me get to where I am today. As wrestlers, we struggle through everyday battles to be the best. Those with cancer battle everyday to stay alive. 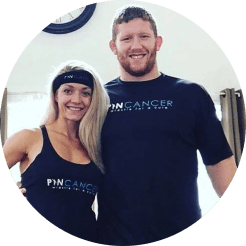 Supporting Pin Cancer let's you fight with them, a battle that affects nearly all families. 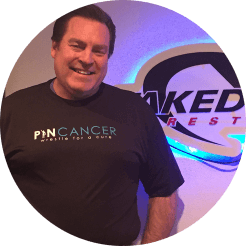 I Choose to support Pin Cancer because I have had close family members and friends who have lost the battle and are still fighting the battle against cancer. I've had family and friends have their lives changed by cancer. If I could do anything to spread awareness or give support to people who need it, count me in! 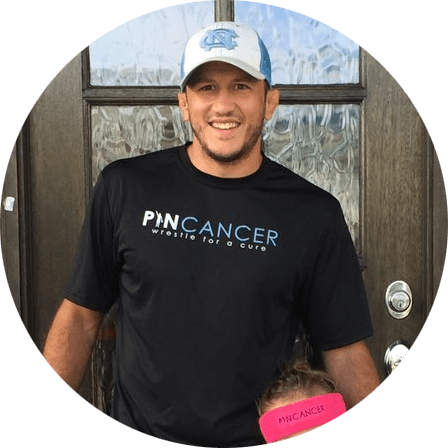 I am honored to have the opportunity to support Pin Cancer! They are an organization that is doing amazing things to make a lasting impression on the world and I hope to be able to play a small role in their future success! 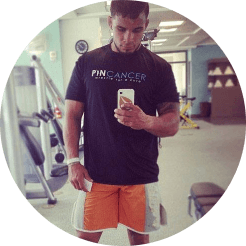 Having lost my father to cancer, and my mother being a survivor, I certainly have an emotional interest in generating funds for cancer research. 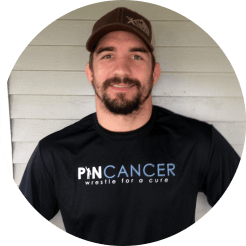 What better avenue for me to support this important cause than wrestling's Pin Cancer? 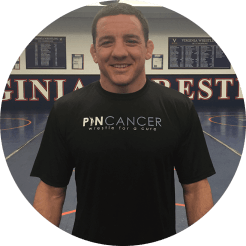 I've had the opportunity to coach at a Pin Cancer Camp and it was a great experience. Dan was really organized and it felt great to help out. 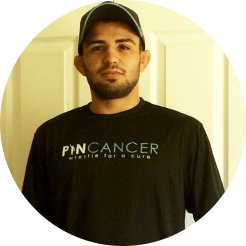 I have joined the Pin Cancer team because I see the work they are doing to fight this disease. I have seen it take people close to me which is why I am wanting to be more involved in the great cause! 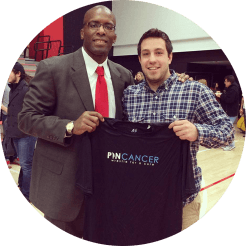 Supporting Pin Cancer is important in our mutual goals to help eradicate cancer in all forms through research and treatments. 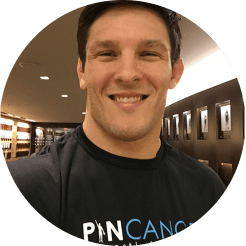 I hope you join me and my fellow ambassadors as we support Pin Cancer and their efforts. Cancer has changed the lives of so many of my friends and family. 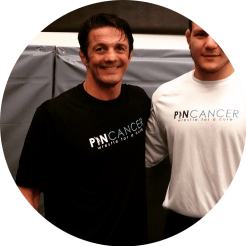 I am honored to be an ambassador for Pin Cancer and help promote its mission anyway I can. join the team! contact us today.